I am pleased to report that I have received a letter from Bill Henderson, editor of the annual anthology, The Pushcart Prize: Best of the Small Presses, informing me that three poems published in the fall issue of Valparaiso Poetry Review (Volume XI, Number 1) have been nominated by the Board of Contributing Editors for Pushcart Press to be included in the upcoming 35th edition of the series. Since 1976, Bill Henderson has brought added recognition to the many fine small presses and literary journals publishing quality material with his annual anthology. I am pleased to note that in recent years the nomination process for the Pushcart Prize has been opened to online journals. This news now brings to nine the total of Pushcart Prize nominations for works in the fall issue of Valparaiso Poetry Review. Last November, in response to an editor’s invitation to nominate poetry from Valparaiso Poetry Review for the Pushcart Prize, I was honored to announce that I had named six poems—works by Alfred Corn, Kwame Dawes, T.R. Hummer, Allison Joseph, Dorianne Laux, and Brian Turner. 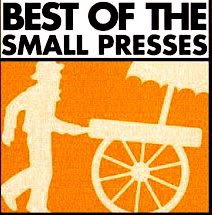 As I mentioned at that time, I welcome the admirable efforts of the Pushcart Press and Bill Henderson to bring attention to the excellent literary works found in small presses and journals, in print and online. Moreover, I am grateful when an opportunity arises for some of Valparaiso Poetry Review’s splendid poets to reach an even larger audience and find the greater recognition they deserve through possible inclusion in such an anthology. Wonderful, wonderful! More deserved recognition for Valparaiso Poetry Review and its fine poets. Congrats! I think this is very true. And it’s something that you have to remind yourself sometimes. I've had the pleasure of hearing Dorianne Laux read. She's a fantastic poet. Congrats to Valparaiso and all the nominees. I condone Valparaiso and all the rest. its such a wonderful feat. there are rising writers that we could see in all or nothing books , people who could really inspire us.